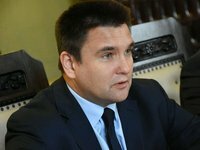 The Ukrainian Foreign Ministry has joined the movement for gender equality and is ready to conduct a gender audit inside the institution, Ukrainian Foreign Minister Pavlo Klimkin has said. "This is a result of how we see it in the diplomatic service and the situation that we have. Amid Russian aggression we must use all the unity of society, we need everyone," he said at a press conference in Kyiv on Wednesday. According to him, the Ukrainian Foreign Ministry will conduct a gender audit from 2019. "A few years ago it was impossible to imagine at the Foreign Ministry that a woman went on a business trip to a foreign country, gave birth abroad, without complicating the work of the diplomatic mission [...] We are the first government agency to go this way," Klimkin added.